Shopping for that perfect gift for the smart girl in your life? Here are 21 awesome ideas for girls ages 0 – 12 that foster both fun and learning. We love this interactive play mat. Kids can learn while exploring the illustrated mats by simply pointing to a “word bubble.” They’re instantly rewarded with an animal sound, a word, music or a foreign language translation. 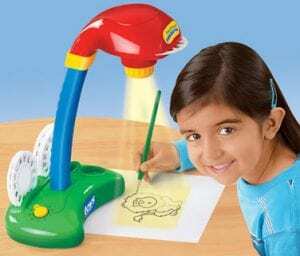 Newborn babies can also enjoy this educational and colorful play land without the Voice Pen™. However, we like the versatility of this idea. As new i-Mat™ themes are introduced, parents can simply connect the Voice Pen™ to any computer (with a USB cable), and download the newest content from the Creative Baby website to the i-Mat™ Voice Pen™. 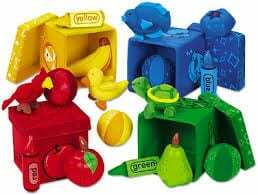 Here is a hands-on way to promote oral language development while simultaneously build color recognition and sorting! 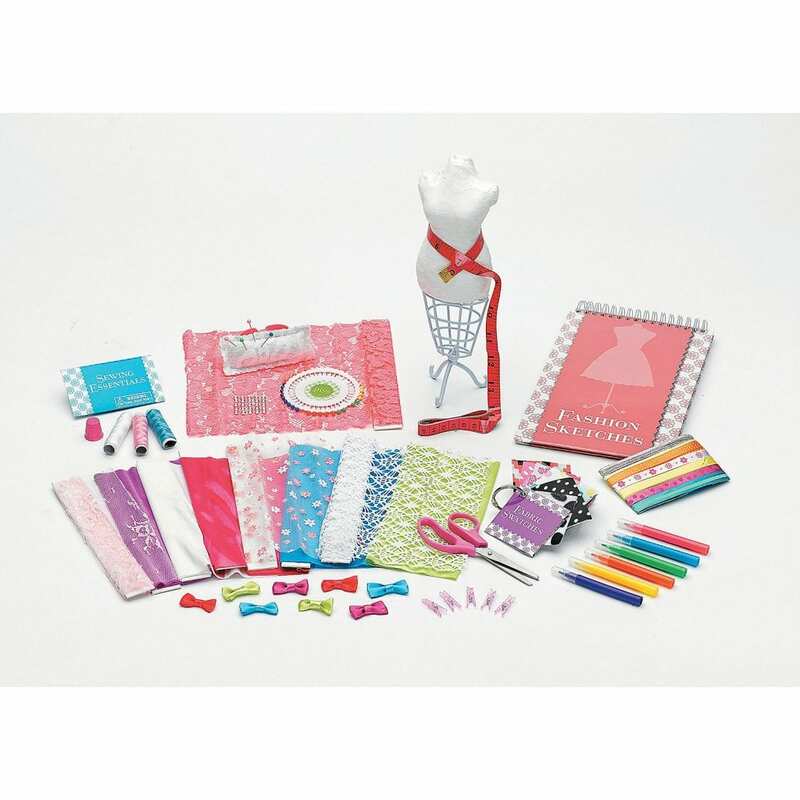 Each box comes with 4 delightful objects with exciting textures & bold patterns – all featuring the same bright color! 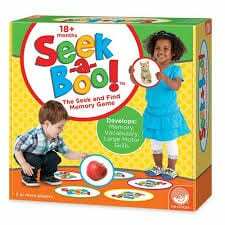 Seek-a-Boo is an engaging way to build your child’s vocabulary and improve memory skills with matching and repetition. Your active child will love moving from card to card, peeking under each “SEEK ME” circle, looking for a match to your “FIND ME” square. Seek-a-Boo has six color-coded card categories that highlight: foods, toys, clothing, colors & shapes, things found outdoors and animals. The interactive parent guide provides instruction for more ways to play; giving flexibility to increase or decrease difficulty for younger, older, or for playing with multiple children. Switch roles, create your own combinations, practice taking turns—the learning and play is endless! 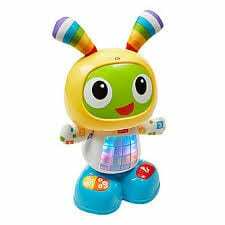 A press of BeatBo’s tummy or any of the buttons on his feet activates fun songs, learning content and dance moves. This futuristic friend even allows mommy or baby to record a phrase, and he’ll remix it into his favorite song! His 3 modes – Dance ‘n Move, Learning & Games, and Customized Sing-Along – “grow” with baby to make him a fun, entertaining companion for years to come! And all the while, he’s introducing baby to letters, colors, counting, music, cause & effect and much more! This toy is ideal for 18-24 month olds but can be used for younger kids as well. 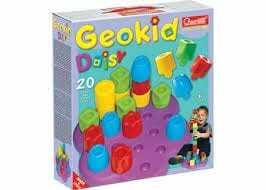 it provides kids with an introduction to stacking, sorting and building fun. The stacking set has soft durable pegs and each peg from this first building set has a hole for easy stacking. The oversized pegs that join the blocks together are perfect for young toddlers and ensure less frustration when building. With this set of creative toy buildings, kids won’t just be playing house—they’ll be building a global village. That’s because each set of easy-to-assemble pieces represents classic urban architecture from around the world. Whether inspired by a centuries-old Amsterdam cafe or a grand Chicago manse, each one has its own personality and a story about its history, its neighborhood and its inhabitants. The buildings are designed specifically to allow children’s imaginations to thrive. They serve as a welcome play environment for children’s existing toys, allowing them to imagine a world in which all their favorite characters co-exist. 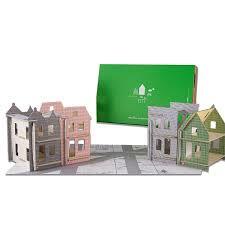 And the packaging itself unfolds to become a map, allowing kids to picture and design a whole city beyond their little neighborhood. 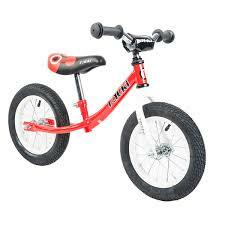 Teach your child how to ride a bike safely and happily with a Tauki Balance Bike! Balance bikes are great for building confidence and helping kids overcome the initial fear with riding a bike for the first time. You child will be a pro in no time plusIt helps teach balance and steering. It has no pedals, no crank set, and no training wheels. 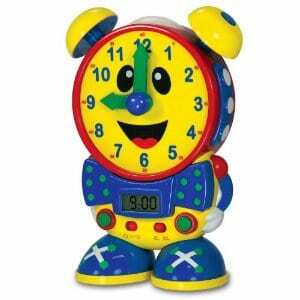 Learn to tell time with our cute talking clock! Just turn the hands, then listen as the clock says the time…and shows it on the digital display. Or, switch to “quiz” mode, and the clock challenges kids to display the time. You can even use it as a real-working digital clock! Clock measures 10″ tall; with a night-light on top. 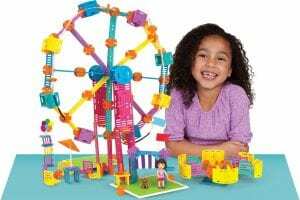 Paving the way toward a more global society, World Village Playset is an innovative new toy launched in April 2015 that helps kids embrace the concept of the global village in which we live in today. 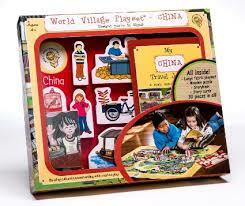 World Village Playsets are fun and engaging educational toys that immerse kids in fascinating cultures. The mission of Whole Wide World Toys, Inc. is to inspire cultural curiosity and respect for a wide variety of cultures. Pop in a slide, dim the lights…and project cool, traceable images onto your paper! Kids can choose from over 80 fun images—like dogs, dinos, butterflies and fire trucks—then color their pictures any way they like. What a super fun way to learn about the science behind projection! Imagine it, then build it! Kids create project after project using smooth pine pieces in a wide variety of shapes. Included in this kit are tons and tons of wood (over 80 pieces), a lightweight hammer, nails and a guide with instructions for multiple projects and more—all in a handy 7 3/4″ x 12″ box. 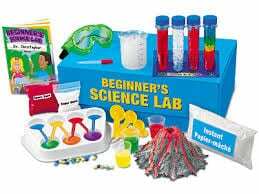 Children discover the magic of science…with a ready-to-use lab designed just for beginners! Kids just follow the step-by-step instructions to complete 12 simple experiments—from building a volcano and growing colorful crystals to creating realistic snow and experimenting with space sand! Making music is easy with these beautiful hardwood guitars for children from Hohner, carefully crafted and precision-tuned just like fine adult-sized instruments. The Child Guitar is half-sized, perfectly scaled to a child’s small hands, and comes with instruction booklet and colorful easy-learn stickers. 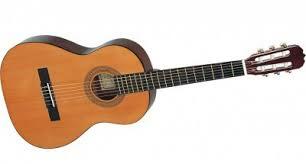 Naturally finished woods; nylon strings. This is a MUST have for any child who is curious about the art of animated movies! The HUE Animation Studio contains everything you need to create animated videos: a camera, software and a book. The fully-featured animation software is easy for kids to use, and includes a 60-page book full of hilarious movie making ideas. Girls can design and build their dream houses with working elevators, motor and light circuits, modular furniture building pieces and walls using Roominate’s building kits. Roominate empowers kids to build endless amazing creations using their unique blend of building, circuits, design, crafts, storytelling, and creativity teaches kids while they play. 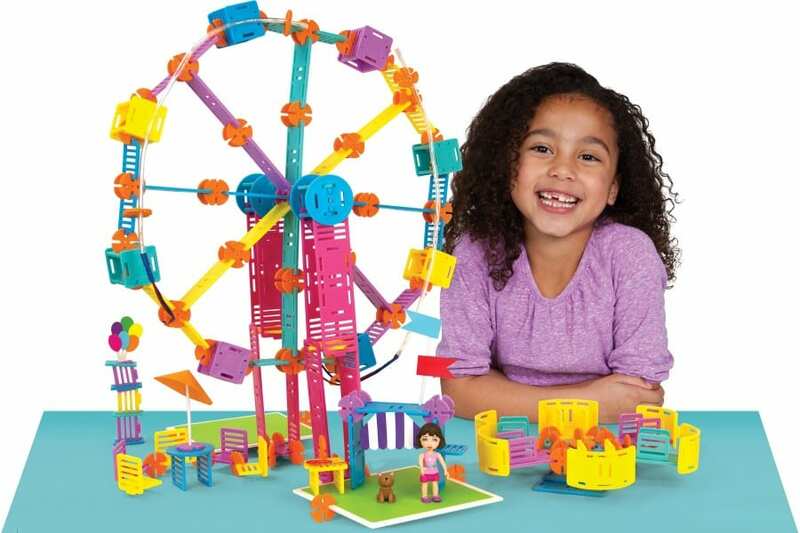 As the world’s first wired dollhouse building toy, it makes science and engineering fun! UNICEF Kid Power gives kids the power to save lives. 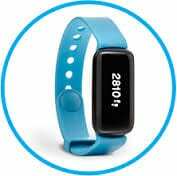 By getting active with the UNICEF Kid Power Band, kids go on missions to learn about new cultures and earn points. Points unlock funding from partners, parents and fans, and funds are used by UNICEF to deliver lifesaving packets of therapeutic food to severely malnourished children around the world. The more kids move, the more points they earn, the more lives they save. These hands-on chemistry kits are guaranteed to fascinate young scientists of all kinds! We use soap everyday, but what makes this sudsy substance work? What does it take to make the perfect smelling perfume? Lip Balm keeps your lips smooth, shiny and protected, but did you ever wonder how it’s made? The Soap Lab bubbles over with luxury glycerin soap possibilities—including custom shapes, bright colors and unique patterns. 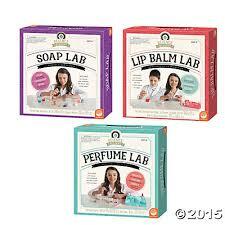 The Perfume Lab is a sweet-smelling way for young scientists to invent secret formula perfumes and room fresheners. The Lip Balm Lab draws big smiles with solar, shimmer, fruity and make-your-own lip balm concoctions. Think like a real scientist while creating luxurious custom items you can use again and again! Indulge in your daughter’s dream of being a fashion designer and turn it into a reality! 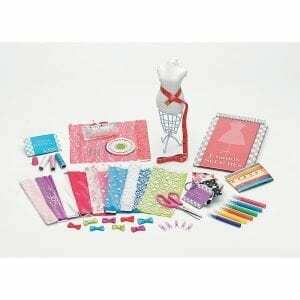 The Fashion Design Studio comes with everything they need to create a line of designer originals, from start to finish: a mini dress mannequin, sewing essentials, sketchbook, fabrics, swatch booklet, trims, ribbons and embellishments. 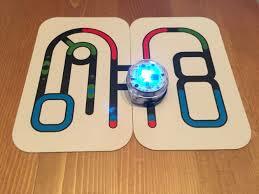 Ozobot takes kids on a fun and mesmerizing experience through creative drawing, problem solving and group challenges by coloring code commands in the form of basic color combinations. There is no end to the possibilities, as your child creates a different landscape of adventures, games and coding with Ozobot Bit. Imagine, a learning toy that opens the doors of computer science, STEM education, robotics and coding, making your child one step ahead of the learning curve. These story-based construction kit celebrates female characters who are scientists and engineers! The Up, Up and Away set features a female pilot named Ava – whether it’s flying a kite, watching the birds or collecting bugs, Ava loves all things that can fly and is always ready for an out-of-this-world adventure. 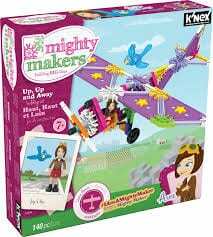 Young builders can help Ava create a butterfly, build an airplane, or invent her very own flying contraption! 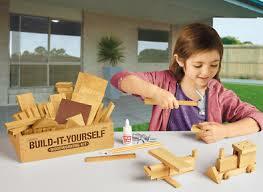 Then kids can decorate the builds using the included accessories, and get ready to let their imaginations take flight.